Dr Bicos comments on the injury Victor Martinez sustained to his knee. Martinez supposedly has a meniscal tear that will need a surgical intervention. With the baseball season in full swing (literally), we are seeing an increased incidence of elbow injuries…especially in pitchers. 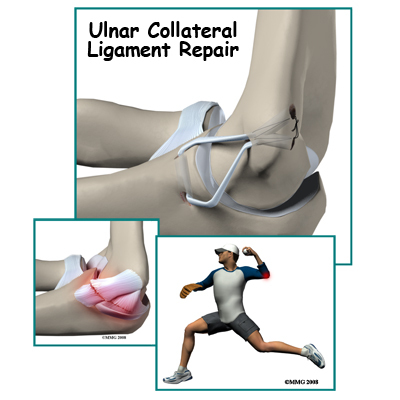 The ulnar collateral ligament (UCL) is a ligament on the inside of the elbow that can get torn, stretched, or frayed with a significant amount of throwing. 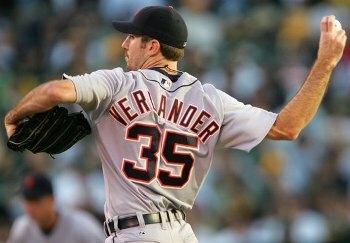 An injury to the ligament, also called the Tommy John ligament can be devastating to a pitchers career. Techniques to reconstruct the ligament have improved over the years and more athletes are returning to a high level of play. With the upswing in the injury of this ligament, there are also multiple myths that surround this injury and its treatment. 1) If I play in multiple leagues, I just have to watch my pitch count for each league and not the total count combined. – Wrong!! First of all you should not play on multiple leagues. Studies have shown that athletes who play on multiple leagues have a higher likelihood for severe elbow injuries. Second, the pitch count is the total pitch count for both leagues combined. Just because you are under the limit for both leagues does not mean that you are OK. It is the total pitch count. The players, parents, and coaches need to be responsible and realize the importance of pitch counts and make sure that the athletes do not exceed them in total for all the leagues they are in. 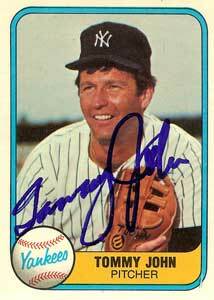 2) If I have the Tommy John surgery, that will make me better than I was before. – Wrong!! Players believe that if they make the UCL tighter (“zipping up the ligament”), then this will add speed to their pitches. This is not true. Surgery should only be done when the ligament is torn or degenerated to the point that the player loses accuracy, speed, and has pain. In addition, surgery has its own risks such as infection, post-operative pain, and occasionally loss of motion. If you are not having pain, do not have the surgery. 3) The ligament tears with one bad throw. – Wrong!! Although athletes describe a pop at the elbow when the ligament tears, there are usually symptoms that have been at the elbow for quite some time before the tear. This means that you should take elbow pain very seriously because it could be the start of a pathway the leads to UCL rupture. Being proactive can save you a surgery and a year’s worth of rehab. 4) Full recovery after the Tommy John surgery is over a year. – Correct!! Full recovery from the Tommy John surgery is typically 12 – 16 months. Elbow injuries are on the rise in overhead throwing athletes. It is typically because of overuse and the superman (or superwoman) mentality that “I cannot get hurt.” These injuries are real and they do not discriminate between sports or talent. Give your self time to rest and let someone know if you are having elbow pain when throwing. Remember that the physicians at Performance Orthopedics are here to keep you in the game, whatever your game may be.